Breakthroughs in legumes are few and far between, but according to the USDA’s annual Technology Transfer report, allergen-free peanuts might be coming to a grocery store near you very soon. For those with peanut allergies (there's about 2.8 million in the U.S.) who’ve spent their lives longing for a Payday, it’s surprising (and maybe a bit maddening) how simple the process for creating hypoallergenic peanuts actually is. They’re roasted, shelled and peeled, then soaked in an enzymatic solution, removing about 98 percent of allergens without affecting the flavor, and are not genetically modified. The project is a collaboration between North Carolina A&T University and Xemerge, a Toronto-based firm. It's unclear when the allergen-free peanuts might arrive on store shelves, but skin-prick tests on humans have already confirmed the technology's efficacy. Also unclear are the potential effects that the remaining two percent of allergens will present following the process. Scientists hope that these peanuts will make things safer for allergy-sufferers and could help them build a resistance to those harmful allergens. 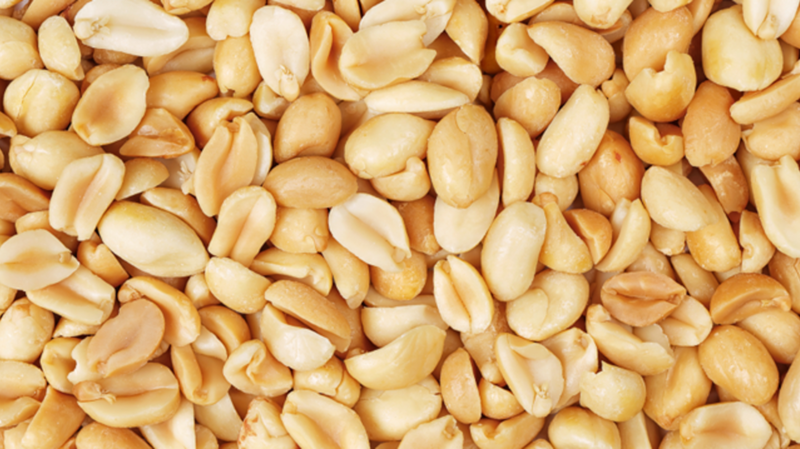 The USDA reports that hypoallergenic peanuts were one of 83 patents they received for the 2014 year. Other discoveries include a faster process for pasteurizing shelled eggs using radio frequency energy, a method for identifying bacteria in food that could help stop the spread of illnesses, a method of genetic mosquito control, and a soil nitrogen test to help farmers and the environment.